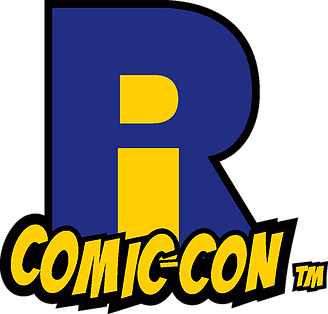 Adam Cormack continues with his highly glamorous life as CBSI's interstatal convention agent … Want to know what he thought about Rhode Island Comic Con? Read on!!! Who's ready for long lines and confusion? Yeah yeah I got sucked into going to Rhode Island Comic Con this past Sunday, and I promise that the goal for me (and CBSI) is not to bash the show but to report on the event. I had a great time and will undoubtedly go back next year but the only way to describe this event is: The Good, The Bad and the Ugly! Celebrity Autographs: As in past years RICC promoted and delivered in a slew of top rate talent. 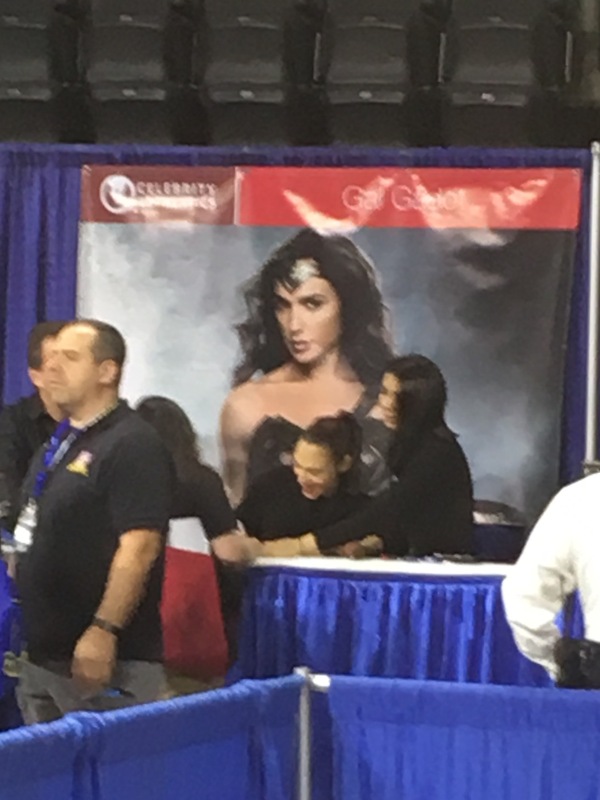 Gal Gadot, Stan Lee, Jeffery Dean Morgan, Michael Cudlitz, Millie Bobby Brown, Christian Slater, Billy Dee Williams, Ric Flair “Woooooo” …and more. CGC and CBCS both on hand to certify your books and in the case of CBCS they were offering slabbing for your celeb signed glossies. (My Gal sig went on a NM Hughes variant of Wonder Woman 184 for the record). The Books: This year the comic vendors seemed to be less in number than ever before. For me it turned out to be a positive. Poor sales resulted in discounted sell offs by Sunday and pop culture vendors throwing a few comics into the mix, unsure in some cases what they had. 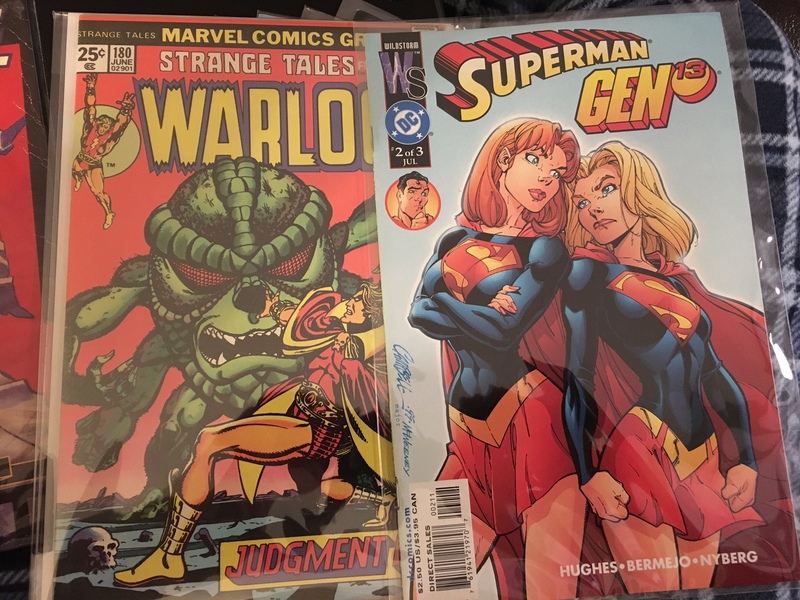 I got my hands on a high-grade Strange Tales 180 for $80 and a Superman/Gen 13 2 JSC variant for $10 from one of each type. Cold Beer and CBSInvaders: I will say the access to beer and running into a few of the CBSI Villainy in person made the show worth it on its own. Celebrities Bailing: Shades of last year when Carrie Fisher's no-show caused controversy, this year it was Kate Beckinsale, Anthony Mackie, Christian Serratos (Walking Dead) and about a half-dozen to a baker's dozen other advertised “stars” cancelled. The Lines: Two hours was the average wait time for Gal, Stan Lee's line was cut short as rumor had it he had to catch a flight, but nothing matched Jeffery Dean Morgan who was so popular that he reportedly signed all day Saturday til 9pm to make sure everyone that paid for a ticket got their signature. The Layout: For anyone who hasn't been, the convention center is connected by a thin bridge to the Duncan Donuts arena, home to the Providence Bruins and College Friers. As the event has gotten more popular they've had to expand to both buildings after two years back they were shut down by the fire marshal due to over crowding the convention center with hundreds of ticketed guests waiting outside. This year with long lines gathered at both building entrances things got even more confusing when they let the bridge traffic only go one way. They also re-arraigned the layout, swapping celebs into the arena opposite of their normal homes in the convention center. Meaning people rushing to Gal or Stan found themselves being forced back out to the street to then get into another line at the arena or sneak in (like I did) to the “returning guest” entrance. Madness. For the CBSI crowd this show is too Pop centered and not enough about the comics, but if you're trying to get your piece of stars you wouldn't expect to visit Rhode Island, then like me you'll be back for more in 2017. Thanks for the report. Always good to hear about shows in other areas.